HGregoire might be one of the most diversified dealership groups in Canada. The company, which has its roots in the used-car business in Quebec, operates 10 used-car superstores throughout Quebec and Florida along with six new-car franchises with a seventh on the way. It boasts its own certified pre-owned program, a 30-day exchange privilege and has been a no-haggle price leader virtually from the beginning. With news that the company will be adding a brand new Mitsubishi point and closed a deal to acquire the now renamed HGrégoire Infiniti, Canadian AutoWorld caught up with company president John Hairabedian for a discussion about the continued expansion of the group. Canadian AutoWorld: After finding great success with your used-car superstores, HGregoire moved into the franchise dealer world in 2014 with Nissan. Why? John Hairabedian: With our HGregoire superstores we have covered the majority of the market in Quebec and it was a natural progression for our growth. With 10 pre-owned car dealerships in Quebec, we were looking for a new challenge, a new opportunity. As we wanted to continue to grow the HGregoire brand, the new car sector was a natural choice. We now have seven new car dealerships in Quebec and we plan to continue growing. We see a lot of synergies in both businesses. What has been the best part about running franchise dealerships and what has been the most difficult? The best part of running a franchise dealership has been the opportunity to have a more extensive relationship with our customers by servicing their vehicles and seeing them in our dealerships more often. By merging these businesses with HGregoire’s thriving dominant philosophy we have been able to create a very dynamic environment. Our new car strategy is tailored for every market and dealership that we operate in, but it’s also tailored for every OEM we work with. Creating and evolving a strategy for every OEM is difficult since we take the time to really understand how each operate and we craft a strategy just for that store that constantly evolves over time. It’s difficult but well worth it. The company has expanded and added Chrysler, Infiniti, Hyundai and Mitsubishi. Are there any other deals on the horizon you care to talk about? We definitely have plans to grow, for now all I can say is that the future of HGregoire has never been as bright as it is today. We are very excited about our business both with our pre-owned superstores and new car stores. Our goal is to continuously expand our network and portfolio of products to better serve the province of Quebec. Any plans to expand outside of Quebec on the new car side? We are definitely looking at opportunities outside of Quebec both on the HGregoire superstore side and the new car side. 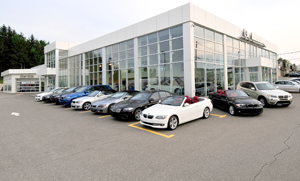 How do the used-car superstores help your franchise locations and vice versa? Choice has always been a pillar of our brand. Our inventory is shared among all dealers, so a consumer can take advantage of the HGregoire network throughout the province. It’s a win-win for both verticals and most importantly for our customers. 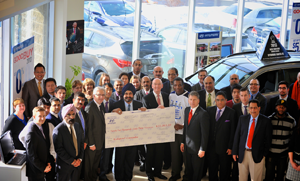 HGregoire is one of the few Canadian auto retail operations with a U.S. presence. What have you learned about doing business in America? We operate in one of the most aggressive markets in North America, which is the south Florida market. We are the second largest independent dealership group in the state of Florida. One thing that’s very different is that Americans have started to purchase their vehicles online. We had 10 per cent of our total sales last month [June] that came from outside of the state of Florida, which is quite significant for us. A new infrastructure to support this had to be built. While this dynamic doesn’t currently exist in Quebec, it has been very educational to experience it down there in order to redefine the online shopping experience here. Our HGreg LUX boutique luxury store in Pompano Beach retails 70 per cent of the cars online to other states. Any plans to expand into new cars in the U.S.? Our U.S branch has been performing above our expectations. The HGreg brand resonates with our U.S. customers very well and we are very happy with the U.S. market. You will be building a Mitsubishi store that adheres to the new facility requirements. You have two of the first Nissan NREDI 2.0 stores in the country. What are your thoughts on corporate image programs because those don’t exist to the same extent the used-car side? We always had a corporate image with our HGregoire superstores. Our pre-owned superstores are engineered in a certain way that enhances our in-store processes and the customer experience. It wasn’t foreign to us at all and we see a lot of value in it. We were the first ones to do NREDI 2.0 and we are also one of the first ones with the new Mitsubishi image program. New and used together, HGregoire has 17 stores. Is there a number you are working towards? If so, what is it? We are always striving to be best not the biggest. We don’t look at ourselves in terms of a number of stores; we evaluate if we have the best people to keep growing at the rate we have been in the past. I’m confident that we will grow for the upcoming hundred years. 100 years is our magic number!